Click to links to other Adair County School Class lists. Complied by Willie M. Feese, Jr.
23 Deceased Classmates as follows: Carl Bragg, Bernice Burbridge, Larry Burton, James Carney. Margaret Chapman, Arthur Corbin, Margaret Estes, Sandra Fletcher, Betty Goodin, James Hamlett, Polly Hamlett, Jewel Hancock, Jesse Hayes, Coa Jane Keen, Dorothy McKinney,, Cary Patterson, Barbara Smith, Jerry Lee Smith, Mary Smith, Thomas Smith, Norma Walker, Judy Wolford, Janet Young. Compiled by Willie M. Feese, Jr.
2013-05-08 - Photo from Junior Feese. 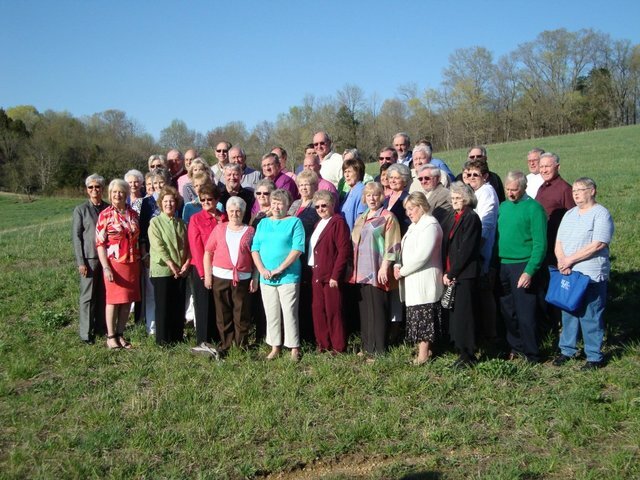 The Adair County High School Class of 1963 held it's 50 year reunion April 13, 2013. Present were, not in order, Carole (England) Roach, Gene Jessee, LaVerne (Hale) Jessee, Junior Feese, Julia (Pickett) Thompson, Carl Coffey, Louis McQueary, Lou Ann (Wolford) Overton, Vernell Young, Gerald Hancock, Edward Burris. Brenda (Robertson) Bennett, Charles Shirley, Shirley (Firkin) Coop, Fannie (Neal) Neat, Jim Miller, Karen (Spatks) Owens, Jolene (Bryant) Callison, Sandra (Loy) Simpson, Judy (Rice) Crowder, Tom Slaubaugh, Alterine (Spoon) Hadley Linda (Fletcher) Stotts, Carolyn (Scott) Jessee, Donnie Curry, Brenda (Bernard) Simpson, Lillie (Giles) Pike, Norbet Pike, Chester Robertson, Ruth (Biggs) Herron, Richard Callison, Diann (Neat) Sisk, Bobby White, David Hunter, Billy Coffey, Beecher White, Edith (Claywell) Hadley, Janie (Miller) Hutchins, Wanda (Rogers) Berry, Bobby Matney, Joe Glowacki, Bill Henson, Kay (Burton) Thomas, Jean (Kemp) Wheeler. Present but not pictured-Jeff Scott, Ken Conrad, Mardi (Wilcoxson) Janes.